Teasing and getting teased is a normal part of growing up. All of us have indulged in some form of playful teasing with siblings, cousins, family, and friends. As adults, when we think about our fondest memories of childhood, harmless teasing makes up a major chunk of it. Even as adults, we don’t give up teasing and tease our spouse, friends, colleagues and loved ones, for just a good laugh without the intent of hurting their sentiments. If one is overdoing it, that person is a bully. When teasing becomes hurtful, constant and does not stop after repeated requests of the tormented party, it crosses the line into bullying. Bullying is done with the intention of causing harm or distress to the victim. It may be physical (pushing, shoving, hitting) or psychological (extortion, name-calling, threatening) and can leave deep, life-long emotional scars on the victim. With the advent of cyber-age, bullying has also spread online. Kids could use social media to post obscene pictures, negative, hurtful comments about others and spread malicious gossip or rumors. Given the speed and reach of social media, negativity online spreads even faster online than in the real world. It is therefore important that parents start having regular conversations about bullying early in the child’s life. To seem stronger, more important or more popular. They pick on someone who appears weaker or different (in looks, ethnicity, language or the way he dresses). They could do this to impress their friends or the opposite gender. Sometimes they bully because of the way they have been treated at home and emulate that behaviour by picking on other kids. The atmosphere in their homes could be one where everyone routinely shouts and calls each other names and they might think this behaviour is okay. Bullying is further exacerbated by the media which has videos/pictures which promote perfection and anyone who looks different is singled out. How to identify if your child is being bullied? Kids being bullied at school might suddenly seem anxious about going to school and might try to come up with excuses to avoid school – like feigning an ache or ailment. They might lose their appetite and not show interest even in their favourite food. They might not be sleeping well. They might lose interest in activities they otherwise enjoy. They might have bruises which they might find hard to explain. They are embarrassed or ashamed of being victimised and appearing weak in front of their parents. They are worried about disappointing their parents and causing them distress. They are scared of their parent’s reaction if they know their parents get angry easily. They are afraid they will be asked to fight back and are scared of the bully or fighting back. They believe getting bullied is their own fault and wouldn’t happen if they dressed or behaved like everyone else. They are afraid that the bullying will get worse if the bully finds out they told their parents or the school authorities. How to help a child who is being bullied? It is distressing to find out your child is being bullied. It can make you very angry and your immediate reaction might be the desire to lash out at the bully and his parents. What you need to do is be calm so as to not scare your child and ask the right questions to draw out the entire story. Praise your child for being brave and coming to talk to you. Remind him again that in your family you talk to one another openly and without fear. Emphasise that no matter how your child looks, dresses or behaves, being bullied is not your child’s fault. Everyone should have freedom of expression through attire and appearance. It is the bully who is behaving badly. Let them know that a lot of people get bullied and together you are going to address the problem. If the bullying is happening in school, let the school authorities – teacher, coordinator or principal know. It is better to document the situation in writing by sending the school an email with a timeline of incidents as narrated by your child. Take it seriously if your child seems afraid and tells you the situation will get worse now that he has brought it up with you. In such a situation, it might be worthwhile to talk to the bully’s parents but with the involvement of the school authorities so that they can mediate and monitor the situation further. 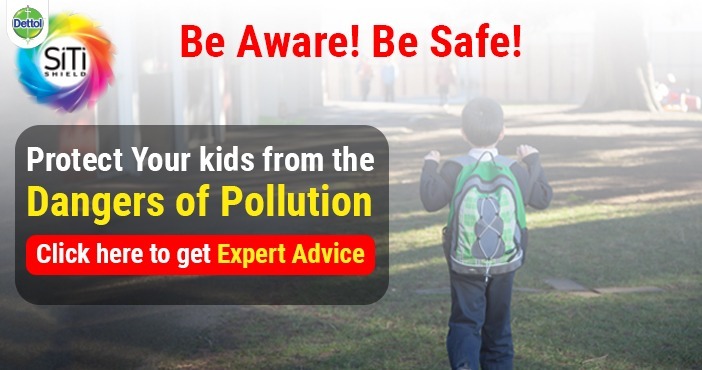 If your child is being bullied at the playground, make sure you accompany the child for the next few days. 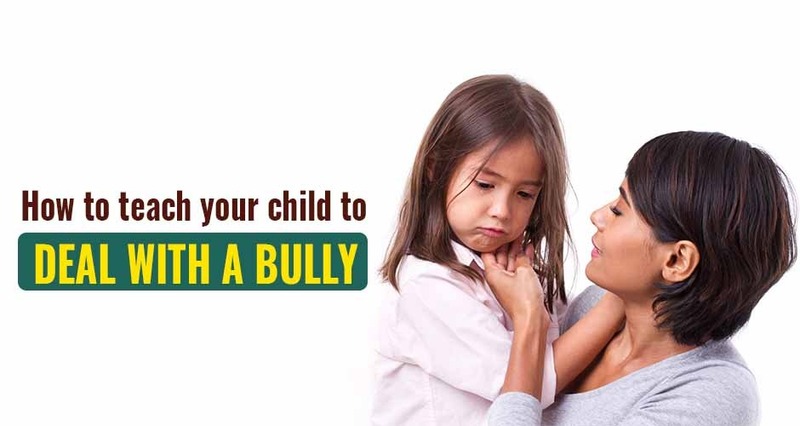 You might not want to confront the bully immediately, but sit at distance and observe so that the bully is aware and your child is comforted by your presence. If the bullying is severe and does not stop despite bringing it to the school authorities and bully’s parent’s attention, it might be time to consider legal action. Seeing how widespread bullying is, it is every parent’s concern. Just the way you teach your child to read early-on, conversations about bullying should start early in the child’s life so that he is never on either side of the fence. From the time your children are young, foster an atmosphere of open communication at home where children feel comfortable sharing both the good and the bad with you. Reassure them that you are there to listen and follow suit by not overreacting to negative situations, but hearing out calmly and then taking action. Emphasise empathy and kindness. To ensure your child is not the bully, speak to them about including the new child in school in their games or sit with the child sitting alone for lunch. Even if his friends do not initially agree, teach him to talk to his friends about kindness. Remind your child how he would feel if he was left out or teased and hence do not come under peer pressure and single out or tease any child but stand up for themselves and others.